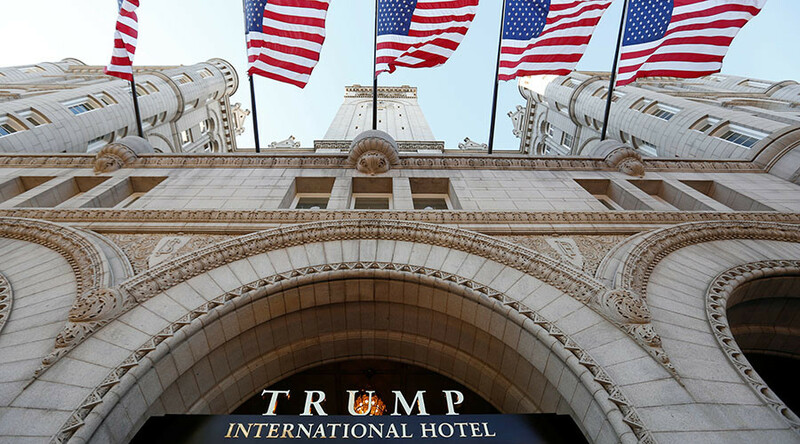 On his first workday in office, President Donald Trump was sued for supposedly violating the US Constitution by owning a luxury hotel in Washington, DC. 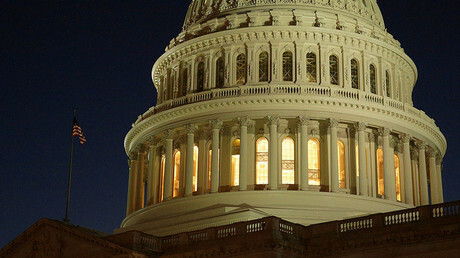 The lawsuit was filed by an ethics group with connections to the Democratic Party. In the lawsuit filed in the Southern District of New York on Monday, Citizens for Responsibility and Ethics in Washington (CREW) accuses the president of violating Article I of the Constitution, which prohibits federal officials from accepting gifts or titles from foreign governments. “A federal officeholder who receives something of value from a foreign power can be imperceptibly induced to compromise what the Constitution insists be his or her exclusive loyalty: the best interest of the United States of America,” CREW wrote in its legal filing, arguing that Trump International Hotel on Pennsylvania Avenue violates the Emoluments Clause (Section 9, Clause 8) of the US Constitution. While the US judiciary generally holds that presidents cannot be sued while in office, they can be subject to civil lawsuits related to prior conduct or actions unrelated to the presidency, according to a precedent established by the Supreme Court in 1997 when President Bill Clinton was sued for sexual harassment by Paula Jones. Attorneys charged with structuring the then-president-elect’s divestment from the Trump Organization explained at a January 11 conference that federal law exempts the president from conflicts of interest, and that the Emoluments Clause does not apply to the hotel. “Paying for a hotel room is not a gift or a present,” Sheri Dillon, partner at DC law firm Morgan Lewis, told reporters. To further dispel any suggestions of a conflict of interest, she said any profits the hotel makes from foreign governments will be paid straight into the US Treasury. The lawsuit identifies CREW’s attorneys as DC-based Gupta Wessler PLLC, and includes the names of several prominent law scholars: Harvard Law School professor Laurence Tribe, UC Irvine Law School Dean Erwin Chemerinsky, and Fordham Law Professor Zephyr Teachout. Norman Eisen, CREW founder and chairman, was a fellow law student and friend of former President Barack Obama at Harvard, and worked for Obama’s campaign and the White House prior to being appointed US Ambassador to the Czech Republic in 2011. He returned to the US in 2014, after Democratic political operative David Brock became the group’s vice-president. Brock was replaced in December 2016 by Richard Painter, former ethics counsel to President George W. Bush. It was Painter who explained to the Washington Post on Monday the group’s argument as to why it had standing to sue. Among the jurists who are skeptical about this argument is Josh Blackman, professor at the South Texas College of Law in Houston. “There is every reason for the courts to stay away from this issue,” Blackman added. In fact, Eisen told the New York Times that CREW might benefit from the lawsuit, as it could force Trump to produce tax his returns and reveal business dealings with foreign governments such as Russia or China. While Blackman and other legal observers have noted that CREW’s standing to file a suit against Trump was flimsy at best, owners of other hotels in Washington or even the District government itself may have grounds to sue the president over potential business losses. For example, the Four Seasons Hotel in Georgetown could sue because Kuwait decided to organize its National Day celebrations in February at the Trump hotel instead. A Chinese insurance giant with government ties is the majority owner of the Four Seasons, the Washington Post reported. The entire hotel was rented out by the Saudi king during his visit to Washington in September 2015. The W Hotel near the White House is majority-owned by the government of the United Arab Emirates, while the St. Regis Washington belongs to a Qatari investment company owned by a member of the royal family, the Post noted.